Are you curious if your web site is accessible in China? Test out your URL on the Great Firewall of China to see if your site can be viewed within China: Great Firewall of China. Steve Dahl, a columnist for the Chicago Tribune opines on the beauty of simply unfolding a map over the latest GPS and online mapping technology: You need a map to figure out GPS, Google Maps. Noel Jenkins has revamped his web site Juicy Geography. This web site’s focus is a personal collection of ideas and resources for Geography teachers. Browse around the web site to find articles, reviews and how-tos. The Boston Globe has some fantastic imagery of hurricanes taken from space. Some of the imagery was captured from the International Space Station and others were taken by satellites: Hurricanes, as seen from orbit. Free Trade Publication Offer: Oracle Magazine contains technology strategy articles, sample code, tips, Oracle and partner news, how to articles for developers and DBAs, and more. Oracle (NASDAQ: ORCL) is the world’s largest enterprise software company. Google celebrated Geography Awareness week on November 13th by releasing the ability to tap into historical maps through Featured Content for Google Earth that allows users to connect to David Rumsey’s huge collection of historical maps. PDF tutorial that takes you step by step through the process of creating a KML (Keyhold Markup Language) file that enables you to plot your ArcMap data so that it can be viewed in Google Earth. Penn State has launched a new certificate program, offering five online courses in geospatial intelligence. The program is aimed toward developing skills in geospatial technology, spatial thinking, and information literacy: Certificate in Geospatial Intelligence (see also: More Distance Learning). Digital Digital Urban, a blog maintained by Dr Andrew Hudson-Smith of the Centre for Advanced Spatial Analysis, University College London, offers step-by-step instructions for creating a smooth video of zooming in Google Earth using the free version. 20070282792 is the patent application describing the technology of Google Earth. Entitled Identifying Geo-Located Objects, Russell Shaw over on ZDNet.com delves into the patent: Google Earth inner workings described in newly published Google Patent App. Wildfinder is a map driven database that users can search either through the map interface or by species. Created by the World Wildlife Fund (WWF), this application has over 26,000 species of birds, mammals, reptiles, and amphibians to explore. A resource page offered by the Science Education Resource Center at Carleton College that provide teaching tips, activities for the classroom and lab as well as a discussion forum for the geosciences: Teaching Quantitative Skills in the Geosciences. American Printing House for the Blind offers braille and large type maps of the United States and the World in a variety of formats: Outline Maps of the United States in Braille and Large Type. Governing Computer Magazine (GCN) has an article that digs past the widespread awe about Google Maps and Microsoft Virtual Earth to explain that GIS based applications are critical for creating more than just “map displays”: Geospatial and the elite. Essay from the Cathlicgauze blog site that argues that the discipline of Geography is a core component of GIS and that curriculums that focus only on the technology of GIS are detrimental to the field: The Future for GIS. 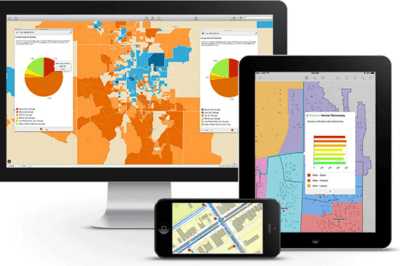 ArcGIS 9.2 Service Pack 3 is now available for you to download from the ESRI Support Center. This service pack contains several performance improvements and maintenance fixes. In addition, this service pack includes ArcGIS Survey Analyst 9.2 with Cadastral Editor. GIS Pilot is a site of GIS related links organized primarily by states for the United States. There are some limited link collections for the rest of the world. Updates to the site are listed below the link boxes. A free on-line utility that creates SVG maps and profiles from GPS waypoints and tracks; many popular data formats are supported. Also includes utilities for locating street addresses and converting GPS files to plain text or GPX: GPS Visualizer. Extensive online map collection from the University of Texas at Austin. Listed at the top are maps of current interest. This map library has over 5,000 mostly public domain maps freely available for downloading and use: Perry-Castañeda Library Map Collection. The University of Southern California has a comprehensive curriculum for studies in geographic informations systems. The university offers a distance learning Graduate Certificate Program in GIS and recently announced a new Master of Science in Geographic Information Science & Technology. From the Strange Map site, this map shows the 50 United States named with countries that have similar Gross Domestic Product (GDP): US States Renamed For Countries With Similar GDPs. The May 2007 issue (Volume 25, Number 2) of the journal Social Science Computer Review is focused on crime mapping. Journal topics range from software reviews such as a review of CrimeStat III to articles on spatial and statistical analysis in crime mapping. Order this free white paper from Tradepub.com and learn how to integrate Enterprise Asset Management (EAM) and Geographic Information Systems (GIS) to access data for the public sector: GIS and EAM/CMMS for the Public Sector: Join Power and Flexibility. Eric Pimpler from GeoSpatialTraining has launched a new blog aimed at providing hands on tutorials covering ” Google Earth, Google Maps, ESRI, and Microsoft Virtual Earth.” The site is fairly new with only two tutorials up but it looks promising: GeoChalkboard Blog. DIVA-GIS is free GIS application that is used for many different purposes. You can use it to make shapefiles, grid data, and satellite images. DIVA-GIS is particularly useful for mapping species distribution, and for analyzing these data in various ways: DIVA-GIS. 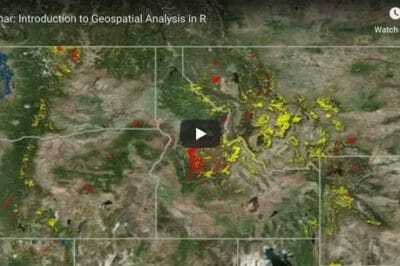 Forestry GIS (fGIS) is a robust GIS editor, digitizer, map printing and data query program created by the University of Wisconsin and Wisconsin DNR. The freeware Windows software reads common spatial image and vector formats and writes shapefiles and geo-referenced images. The wiki-based how-to site, wikiHowto has an informative tutorial in deciphering the symbology of a weather map. 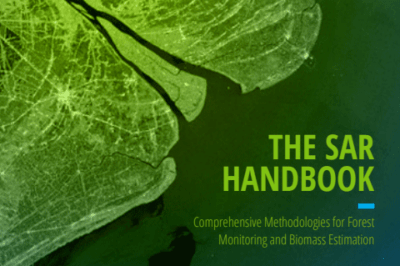 The tutorial reviews how to read weather maps in order to interpret pressure systems, fronts and understanding measurements of conditions measure at weather observation stations.